Workers’ compensation is an excellent way to get reimbursed for medical expenses and lost wages relating to an on-the-job accident. However, claiming workers’ comp is much more challenging than it sounds. Here are your five most common workers’ compensation questions answered, and what to do if you or a loved one are injured at work. 1. Will My Boss Fire Me For Filing for Workers’ Comp? Your employer shouldn’t discharge you for filing for workers’ compensation. This is against the law; however, it sometimes happens. If your employer fires you for your workers’ comp claim, this is called retaliation and you may have legal recourse. 2. My Employer Wants Me to Come Back to Work. What Should I Do? If your doctor has not released you to go back to work, you should not do so, even if your employer is pressuring you. This could have a negative impact on your workers’ compensation case. Follow your doctor’s instructions explicitly, whether it be to stay home from work until a certain period of time or to return only to light duty. 3. What Doctor Should I See? 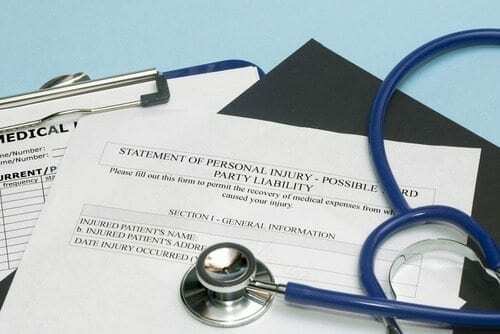 Under workers’ compensation, your employer has the right to choose which doctor you see. While some workers’ compensation plans do allow you to use your own doctor or a specialist under certain circumstances, most plans require that you only see the doctor your employer has chosen. If you see another doctor, your workers’ compensation benefits may not cover these costs. 4. When Will My Workers’ Comp Benefits End? Although workers’ comp benefits are intended to last as long as it takes for an individual to become rehabilitated after a work accident, this does not always happen. The longest a workers’ compensation claim can remain open in Louisiana is generally one year after the injury date. However, if you are temporarily or permanently disabled and still require funding after a year, you may need to consult with an attorney regarding a personal injury claim. 5. What If I’m Killed at Work? Unfortunately, many work accidents are fatal. If you are killed in an on-the-job accident, your family may be eligible for some workers’ comp benefits. However, this is rarely enough funds to cover expenses related to your death, including funeral expenses and future lost wages. In this case, your family may want to pursue a wrongful death claim against your employer. If you or a loved one were injured at work, it is critical that you reach out to a workers’ compensation attorney as soon as possible. At the Wanko Law Firm, LLC, we have assisted hundreds of individuals and families facing the challenge of an on-the-job injury, and we can do the same for you. Contact us today at (985) 893-6530 for a consultation.